Being from the West Midlands myself I do enjoy going back there and enjoying what it has to offer. I think that it is an area that is often passed by without a thought on the way up or down the M5 and M6 whilst on the way to other destinations. It is for this reason that I decided to write an article about it. 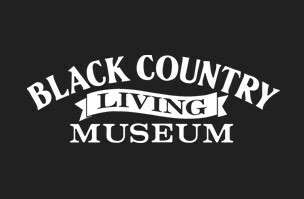 A great place to visit is The Black Country Museum. This is a brilliant attraction to explore and interesting both for adults and for children. It is an open air museum covering 26 acres of industrial land. There are more than 50 shops, houses and workshops that have been reconstructed and now show the character of the region in the past. You can take a trip on a tram which will take you to look at the canal side village. Visit the mine underground and also experience sights, sounds, smells and tastes from the past. There is also a cinema that shows silent films from the 1920’s. You can see old cars and vehicles and visit an old bar which is a real spit and sawdust place. If you plan to visit make sure you allow a whole day as there is plenty to see and do that will keep you busy all day. Just five minutes up the road from The Black Country Museum is Dudley Zoo. I remember visiting as a child. The zoo is a unique place with hundreds of animals, the unique part is that it’s set around an 11th century castle and has the world’s largest single collection of Tecton buildings. It also has the country’s only vintage chair lift. It’s quite a hilly zoo set in a 40 acre wooded hillside. While in the West Midlands you should definitely pay a visit to Bridge North. There is a lovely campsite there called Stanmore Hall. http://www.morris-leisure.co.uk/caravan-parks/stanmore-hall/overview.htm Bridge North is really two towns, the High Town and the Low Town. If you don’t want to walk from one to the other there is a railway that will take you up and down. It is the steepest funicular railway in Britain. The Low Town was once a thriving port on the banks of the River Severn, the High Town had the castle, the churches and some mansions from the 16th and 17th centuries. If you are feeling energetic you can walk up one of the sets of steps or up the old cart way where goods were once taken up to the market above. The market also still takes place here with antiques and local produce being particular specialities. If you walk all the way to the top you will probably need a rest, a good place to stop and have a sit down is the Castle Gardens. The Castle remains lean at quite an angle, it was blown up in the Civil War by the parliamentarians. You can then find nearby an iron footbridge that takes you to the Severn Valley Railway Station.A trip on the steam train is a good way to see the Severn Gorge. I would also recommend a trip to Iron Bridge, a World Heritage Site in a beautiful wooded valley. Iron Bridge is the birthplace of the Industrial revolution. This may put you off visiting as you may be expecting to find an industrial town. This, however, is not the case, the area now is far from industrial. Most of the factories have been gone for years and the gorge has been restored to its former natural beauty. There are very good Victorian themed museums to visit and the gorge is also an attraction to be seen. Where the factories used to be there is now a beautiful wooded valley. The gorge has footpaths and bridleways and country lanes to explore. Victorian houses can still be found in Iron Bridge but there is no longer the grimy back streets or rows of chimneys emitting thick black smoke. It is now a very picturesque location steeped in history.